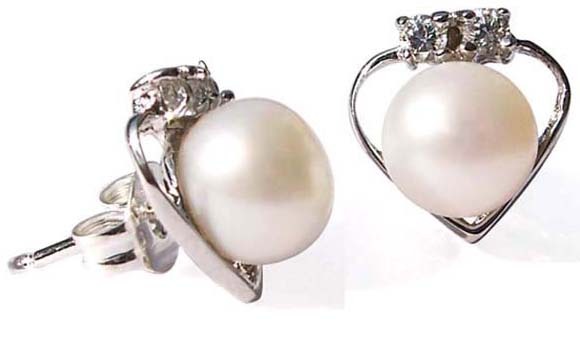 These pearls are the highest AAA quality that you can find because they are perfectly round. 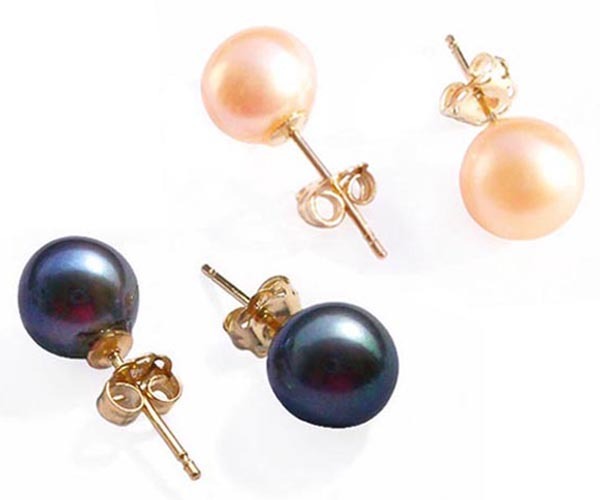 The pearls are very well matched with very high luster, and with hardly any surface flaws. 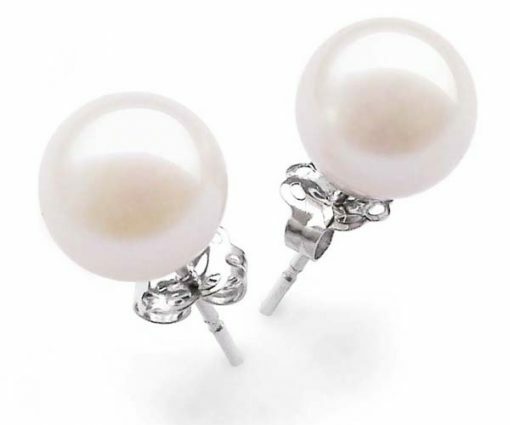 They are the highest quality of pearls that you can find. 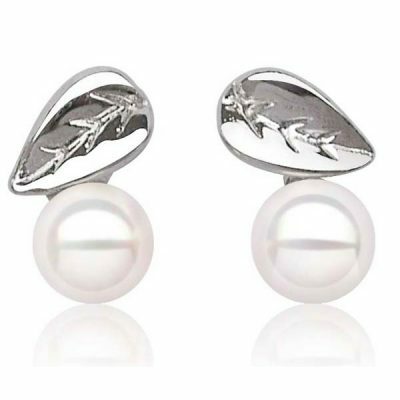 Set in 14k solid yellow gold or white gold for both posts and ear backs, this pair of earrings will be good for the most sensitive skin. 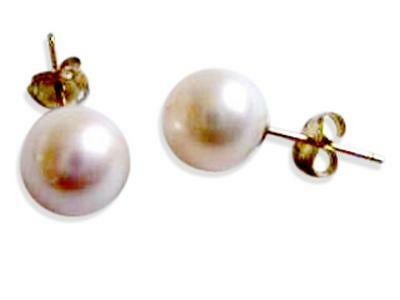 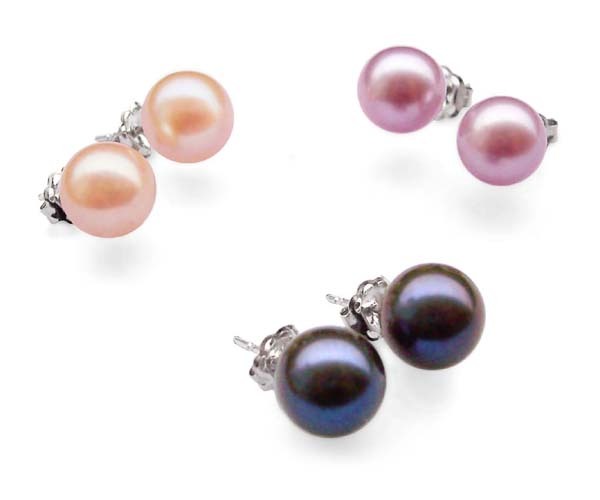 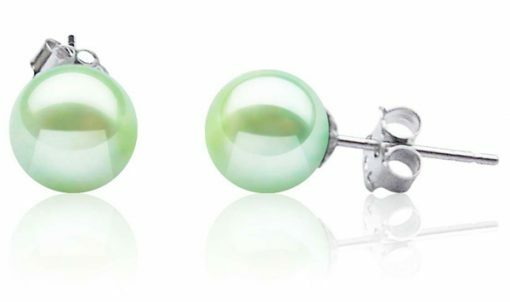 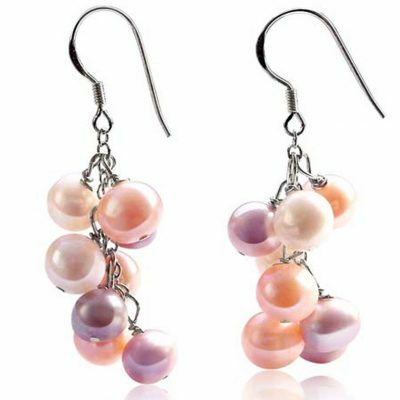 Five colors of pearls are available for you to choose from at 7-7.5mm: white, pink, lavender, black and light green.